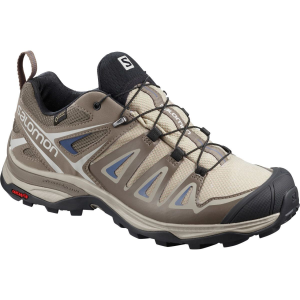 For day hikers or backpackers looking for lightweight performance that won't compromise comfort and support, the Oboz Cirque Low Hiking Shoe makes a worthy companion. 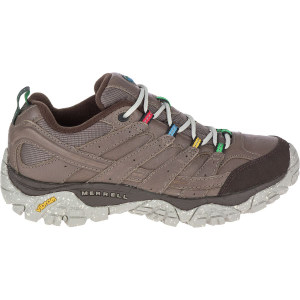 This technical trail hiker features lightweight uppers that blend durable textile suede with breathable mesh panels, supported by an outsole designed especially for reduced weight. The Tempest sole is built with variable rubber thickness that provides traction on tricky terrain with sturdy lugs, while reducing weight in sections that don't make contact with the trail. When it comes to comfort, Oboz gave the Cirque single-density responsive cushioning in the midsole, with a chassis for additional support and a forefoot plate to prevent stone bruising. The proprietary footbed is comprised of mixed density EVA cushioning, delivering breathable cushioning and sculpted arch support. And at a little over half a pound each, the Cirques are lightweight enough to keep you nimble on the trail, mile after mile.